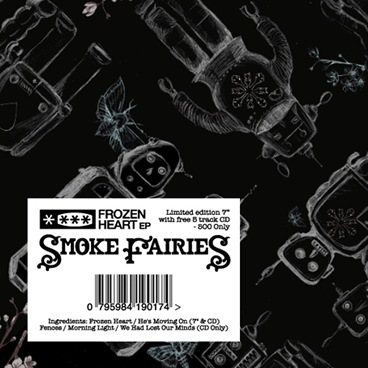 If you like wistful melodies and well crafted vocal harmonies then Smoke Fairies’ Frozen Heart EP could be right up your alley. The music imparts a timelessness and the ethereal nature of the songs seem to make them just hang in time and space. Definitely music for the Autumn, or the Fall as I should say now that I am resident in Canada. I suddenly had a thought that this would make great chill-out music after an All About Eve gig.